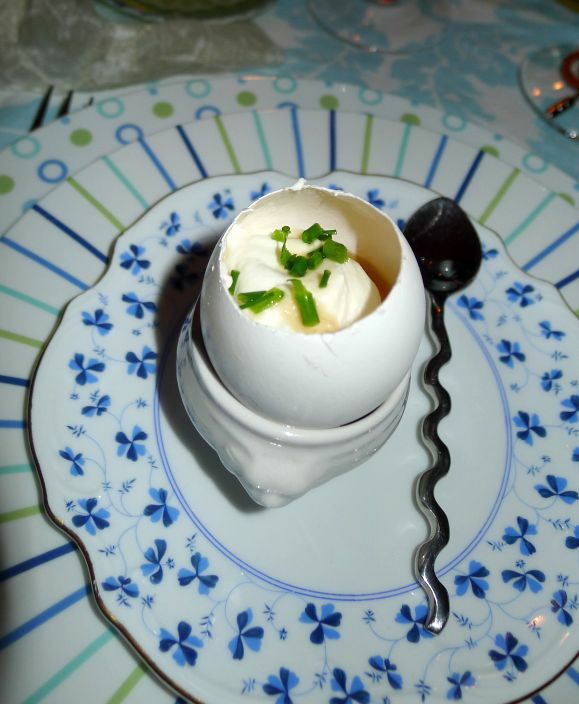 If you ever dined at Manresa, the 2 Michelin stars restaurant in Los Gatos, then you know that the first thing that appeared out of nowhere from the kitchen is the Arpège egg. 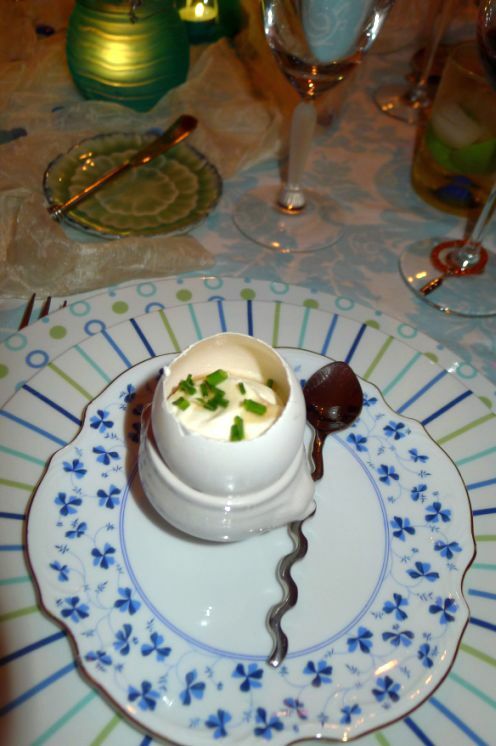 The Arpège egg is an amuse bouche that it is not listed on their menu but it is served as compliment of the chef. 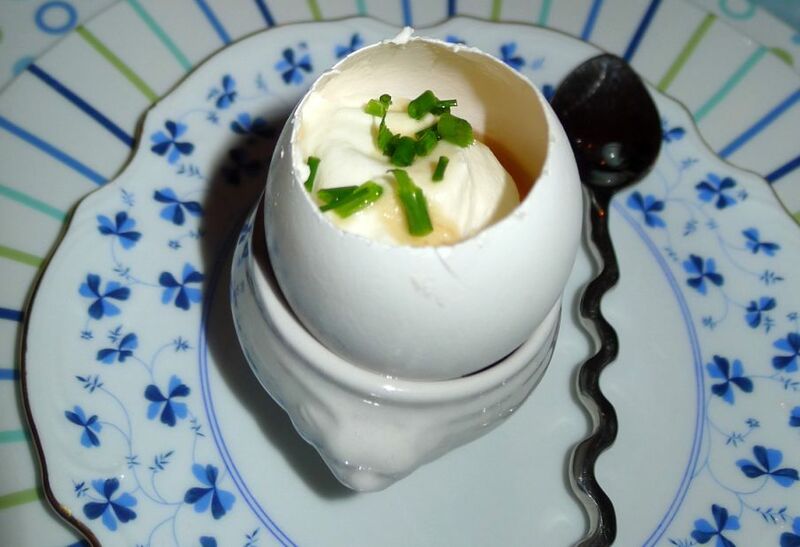 The Arpège egg is a surprising mixture warm and runny egg yolk, layered with a cold lightly whipped cream mixed with a hint of sherry vinegar, and drizzled with maple syrup, and all served in the shell! The egg is coddled for 10 minutes under barely simmering water just to warm up the egg yolk, you do not want to cook the yolk. 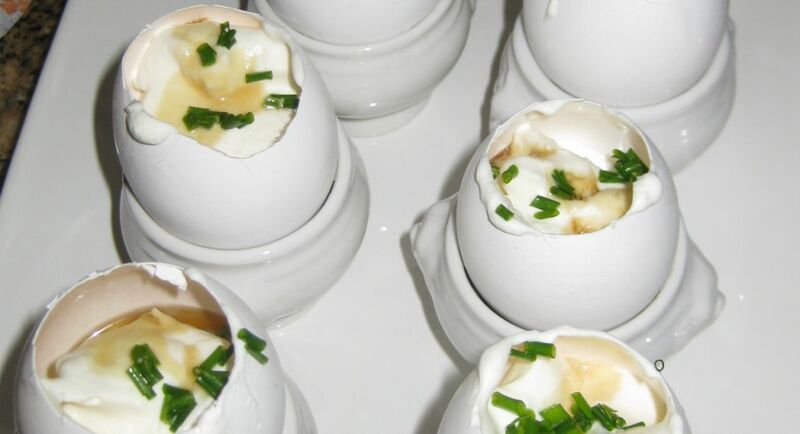 This is the type of amuse bouche that properly awakens your palate with a jolt of surprise! 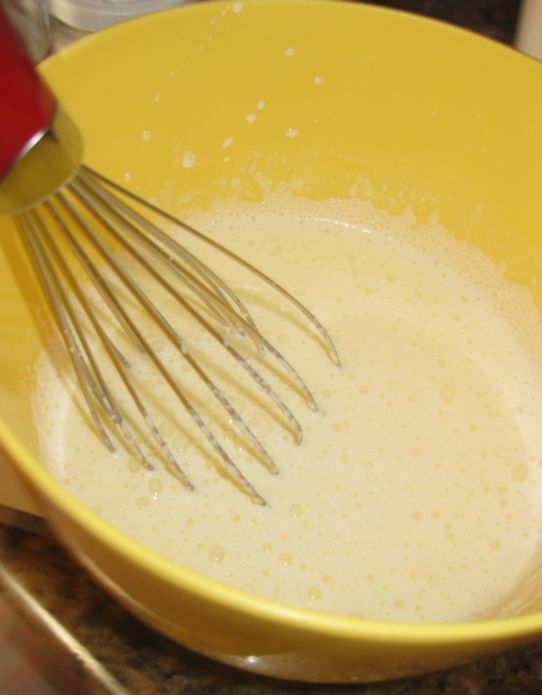 You have to spoon all the way to the bottom and scoop up the warm soft, golden yolk, underneath a cold whipped cream. Very nice combination of hot/cold, sweet/salty, all in the same bite. The name Arpège comes from the name of a commercial perfume created by Lanvin in 1927. At the time the slogan was: Promise her anything, but give her Arpège. Story goes that Jane Lanvin offer to her daughter Marguerite the brand new and un-named perfume as a 13th birthday and asked her to name it. Marguerite being an accomplished musician called it Arpège which is derived from Arpeggio. Arpeggio are notes in a chord that are played in sequence, one after another, rather than simultaneously. I am not sure why they call it Arpège egg but it could be that the original Arpège perfume bottle do look like an egg. I served this as an amuche bouche at one of my dinner party and all my guests were delighted and intrigued with the presentation and taste. 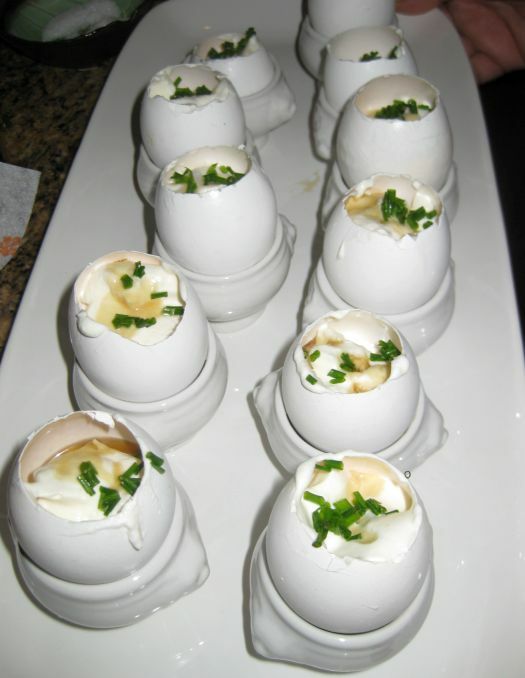 Close look at the Arpège eggs. 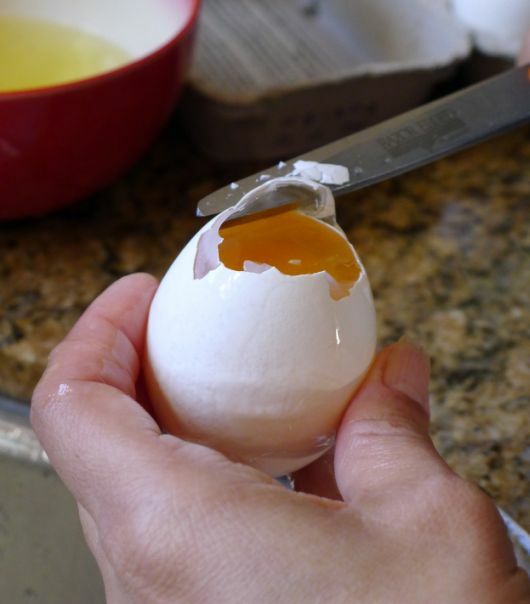 Crack lightly the top of the egg against a hard surface and then use a scissor to cut off the top. 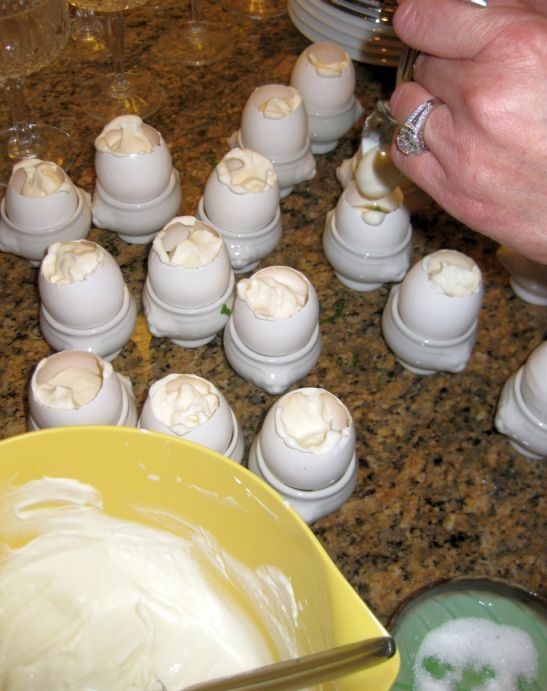 Make a hole that is large enough to pour all the egg content out. Separate the yolk and the white. Save the white for another use or throw it away. Put back the egg yolk inside the egg. 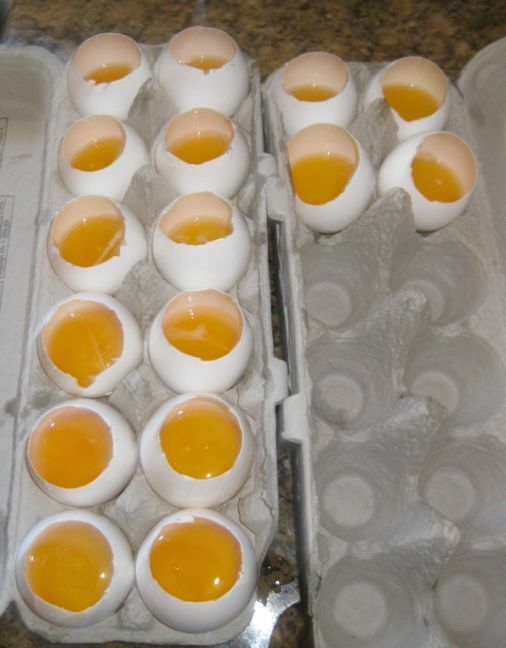 Put the egg inside an egg carton. Close the lid and refrigerate until ready to use. 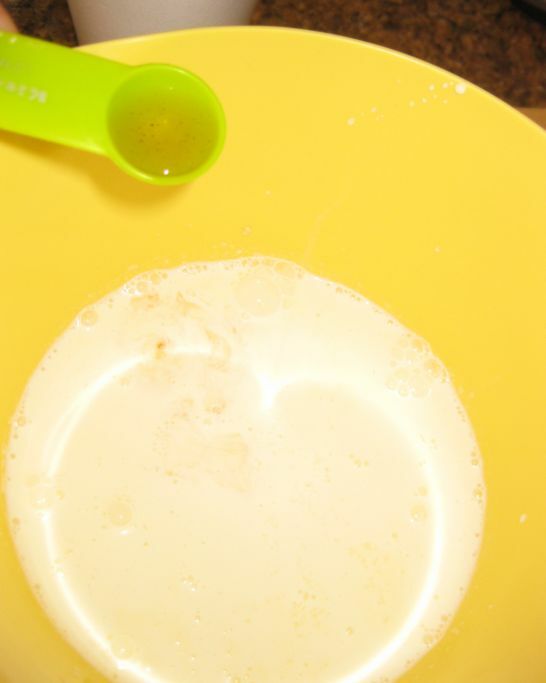 In a bowl add the heavy cream and vinegar. Beat the cream until soft peaks form. Make sure not to beat the cream until firm peak. 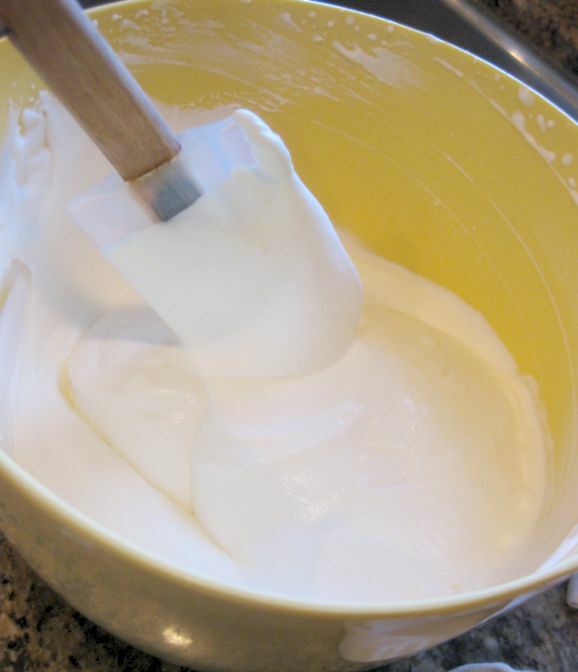 The cream should look foamy and soft but not in a liquid form. When ready to serve select a pan large enough to hold you eggs. Add water about 2 inches in depth. Bring water barely to a simmer. 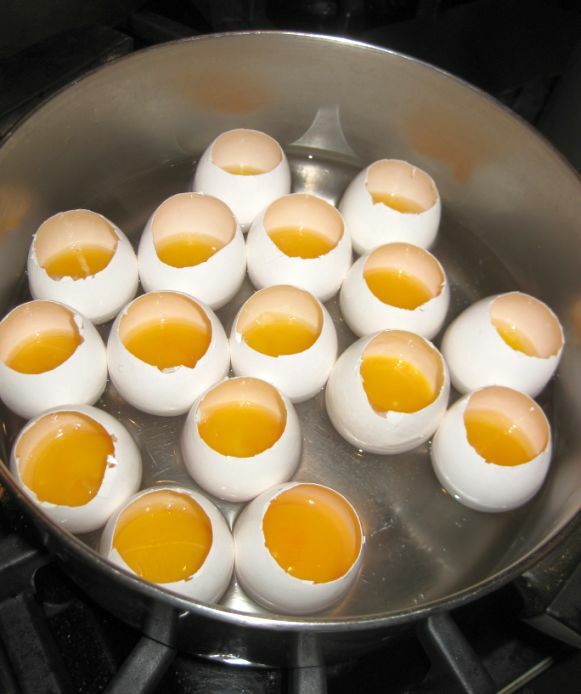 Put the egg in simmering water for about 10 to 15 minutes just enough to warm the egg. 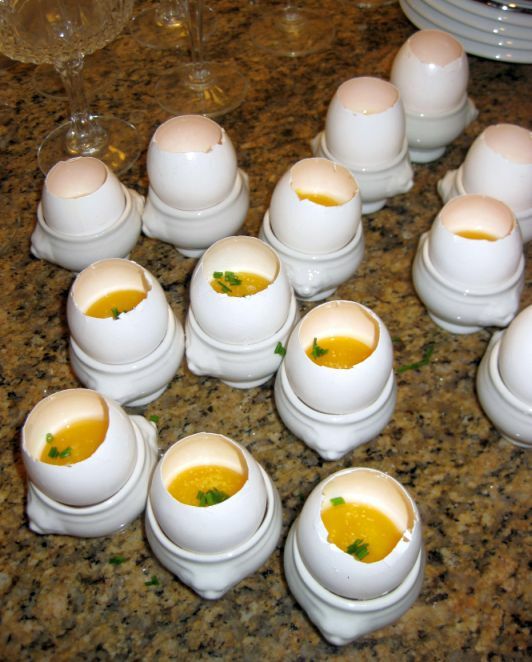 The egg should be still runny but warm. 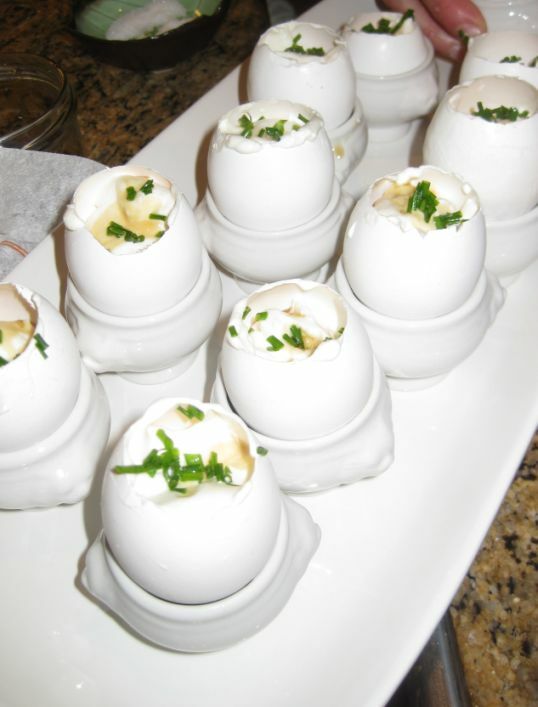 Remove the eggs from the pan and set it on top of an egg holder. Sprinkle with salt, pepper, and chopped chives. Pour in a large spoon of the whipped cream..
Drizzle a bit of maple syrup on top, add a bit of chives for color and it is ready to be served! Note: I have 16 people over for dinner so I triple the recipe.